April 16, 2018 9:18 am. Ugo Foscolo returns to winning form. PIC: Racing Photos. A return to Te Rapa has worked wonders for last season’s Group One winner Ugo Foscolo. 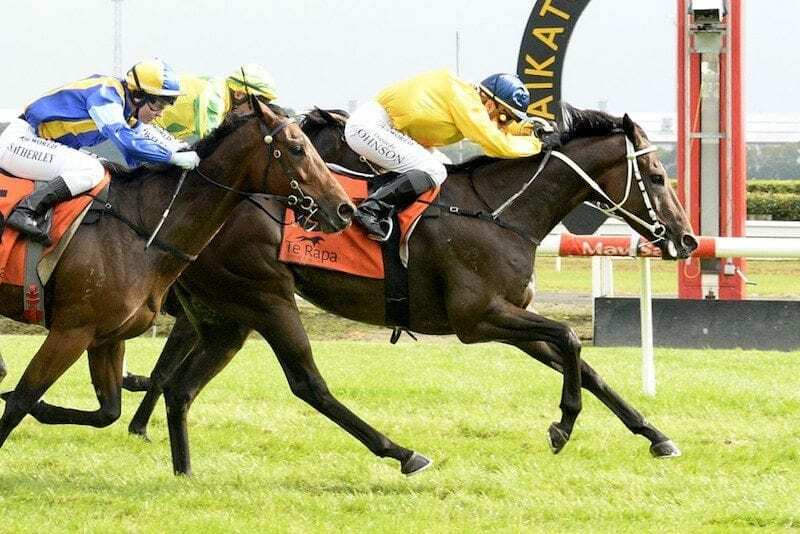 He has had his issues since his Gr.1 New Zealand 2000 Guineas (1600m) victory, but they were pushed to the background on Saturday when he beat his open sprint rivals in the Punters Challenge 5th May 1400m. Ugo Foscolo is now unbeaten in three appearances on the Hamilton course having won the Listed Hamilton Vets Equine Stakes (1100m) as a juvenile and the Gr.2 Sarten Memorial (1400m) the following term during his first spell with Stephen Marsh. He subsequently spent an unrewarded spell with Gai Waterhouse and Adrian Bott last winter before returning to Marsh’s Cambridge stable. Ugo Foscolo resumed his New Zealand career at Matamata in February, but tailed the field home and Marsh was prepared to accept the blame for that flawed performance. “It was trainer error running him then after he had been off the scene for a fair while,” he said. Ugo Foscolo was subsequently freshened and the son of Zacinto responded with a tidy win under jockey Danielle Johnson. Ugo Foscolo idled along in front and, after going clear at the top of the straight, he had enough in reserve to win by half a length. Tomelilla boxed on well for second after racing outside the leader and a nose further back was next Saturday’s Gr.2 Easter Handicap (1600m) hope Go Nicholas.